Is This The Best Food Thermometer Money Can Buy? The Thermapen MK4 meat thermometer is one of the best instant read thermometers around. In fact, I will go so far as to say that Thermoworks makes the best cooking thermometers in the world. They do one thing really, really well and that one thing is reading accurate temperatures! Thermoworks always puts out a great product, but the new Thermapen MK4 is above and beyond the competition. If it is within your price range, it is definitely worth checking out. The MK4 shows the wave of the future in instant read thermometers. Advanced technology is what makes the latest Thermapen much more intuitive than its predecessor and any other brand out there. It comes with the same ultra-quick almost instant temperature readout in a device that never needs to be re-calibrated. Problems with instant read thermometers in the past have brought Thermoworks to innovate a new and improved device. One specifically designed to fix the issues of past products. One issue seen before was the lack of left handed thermometers. The new Thermapen MK4 offers a fix for that. They designed their meat probe to bend beyond 180°, meaning it is easily used with either the right or left hand. You don’t have to bend your head sideways to view the readout when using it left handed either, thanks to the auto rotating display of the MK4. Because of the rotating display, you can also keep your hand as far away as possible from any heat source, lowering your chances of getting burned. The battery life sits at 3000 hours of powered use, but it lasts much longer than many of its competitors, thanks to the auto power mode. If you leave your thermometer on the table, it will turn itself off, and will automatically power back on when you pick the thermometer up. This saves you battery life, and money on batteries overall. The MK4 uses one AAA battery instead of two CR2032 batteries used in the Classic. Of course, like any other instant read thermometer, the Thermapen MK4 meat thermometer makes sure you don’t overcook your food by providing an extremely accurate read of the temperature of your food. The MK4 comes within ±0.7°F of perfectly accurate readings, making it one of the most accurate thermometers available. The MK4 is simple to use and requires little to no setup. By simply inserting the battery and flipping the thermometer on, you are ready to go. And get this – No Buttons! That’s right, there are no buttons to try and figure out. If you want, you can choose between Celsius and Fahrenheit. Beyond that just insert the probe into the center of your food. Make sure the probe is as close to center as possible to get the most accurate temperature reading of the food. Within two to three seconds, the MK4 will display your temperature on its auto rotating screen. If you are between uses of the MK4, you can wipe the probe and fold it, which will power it off. Leaving the probe open while in use and the MK4 will stay on. Simply set it down and it will go into a sleep mode until you pick it back up. Once you pick it back up, the new Thermapen MK4 turns back on automatically. You can also touch the sensor screen at any time and the display lights up for easy viewing. I have used and tested so many thermometers over the years and always come back to my Thermopen because it is just so darn easy to use! The super fast Thermapen MK4 adds on to the classic with some much requested features while keeping the same aspects that make the Thermapen brand one of the most trusted in the industry. The speed of temperature readings is certainly worth mentioning when talking about the MK4. Reading temperatures between two and three seconds makes the super fast Thermapen MK4 about as close to instant as you can get with an instant read thermometer. I’ve run across a few competitor thermometers that can match this speed, but I have yet to find one better. The accuracy of the MK4 is fantastic and a great feature. It comes within ±0.7°F of the exact temperature of what you are checking. That is as accurate as I have seen in a publicly available food thermometer product. An intelligent backlight means you don’t have to squint or use a flashlight to read the thermometer at night (or in a dark oven, etc). After using many thermometers without backlight technology, I can say from personal experience, a backlight display is worth a few extra bucks alone. 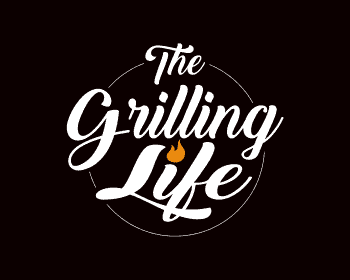 If you’ve ever found yourself standing beside your grill at night with tongs in one hand, thermometer in the other while trying to hold a flashlight between your lips, you know exactly what I mean. The MK4 is designed to sense when it is dark outside and will light up the display automagically making it easy to read at dusk or in total darkness. The far rotating probe makes it super simple to get at any strange angle you need. Checking a turkey’s temperatures has never been simpler. The auto rotating display makes that even easier. When you turn the thermometer to any of the four directions, the display appears upright for you making it super easy to read. 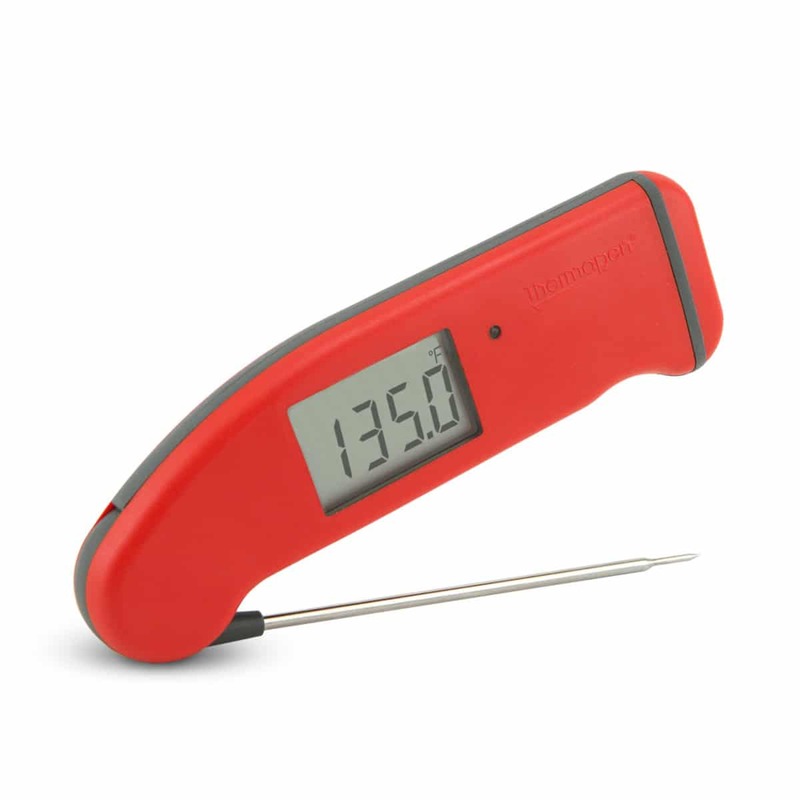 Another awesome feature of the Thermapen MK4 thermometer is its automatic power. When you open the probe, the thermometer turns itself on, fold the probe back to the closed position and it turns off. But it goes beyond that. If you set the thermometer down for an extended period of time (even while folded open) it will automatically enter sleep mode to save battery power. A motion sensor turns the thermometer back on when you pick it up, so there is no hassle in turning it on and off constantly between temperature checks. You can even configure the auto sleep mode to activate between 10 seconds to 3 minutes depending on your preference. All pretty high tech and intuitive if you ask me. Thermoworks has improved on their splash resistant predecessor by increasing the water resistance. It is now waterproof! Really? Does this mean I can wash it? Yes, that is exactly what this means. It is still not dishwater safe but it is rated for safe immersion in water up to 39” depth for up to 30 minutes. If you are like me and tend to leave the cleanup of the grill and equipment until after you eat and occasionally forget and leave things outside overnight, this is a great new upgrade. Thermoworks always offers an assortment of colors, which is a nice little way to personalize your thermometer. This makes sure you get exactly the color that matches your cooking equipment. 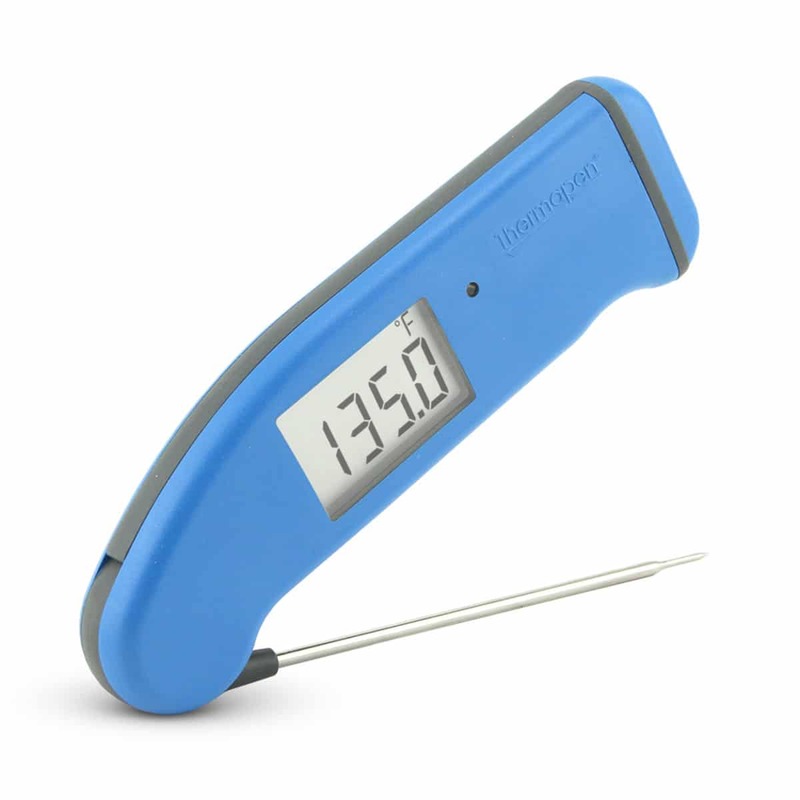 Who Is The Thermapen MK4 Instant Read Thermometer For? If you are a new or experienced griller, the Thermapen MK4 meat thermometer is worth checking out. Anyone who is new to grilling needs an instant read thermometer. If you want to up your cooking or grilling game, an instead read thermometer should get more use than all your other cooking tools combined. It helps make sure you get that perfect cook every time you grill. It’s a tool I rely on whenever I grill or cook steak, chicken, briskets and much more. The rapid reading time and extreme accuracy make the MK4 top of the line in instant read thermometers. If you are a more experienced cook, the MK4 is possibly even more worth your time. It allows you to take that extra step in accuracy, and convenience. If you have used an older instant read thermometer (not to mention an analog thermometer) you understand the issues that the MK4 has been designed to fix. If you are a griller that enjoys moving around as you grill your food, an instant read thermometer might not be what you’re looking for. A remote wireless display thermometer might be more up your alley. This is especially true if you smoke food often, or slow grill your food at specific temperatures. The new Thermapen MK4 is great for single food items, and checking once at a time, but it won’t give you readings on your grill temperature, and won’t display several temperatures at once. If you don’t need all the extra features but still want an option with the accuracy, speed, and ease of use that is perfectly understandable also. Another excellent option for less than half the price is the Lavatools Javelin Pro Duo. 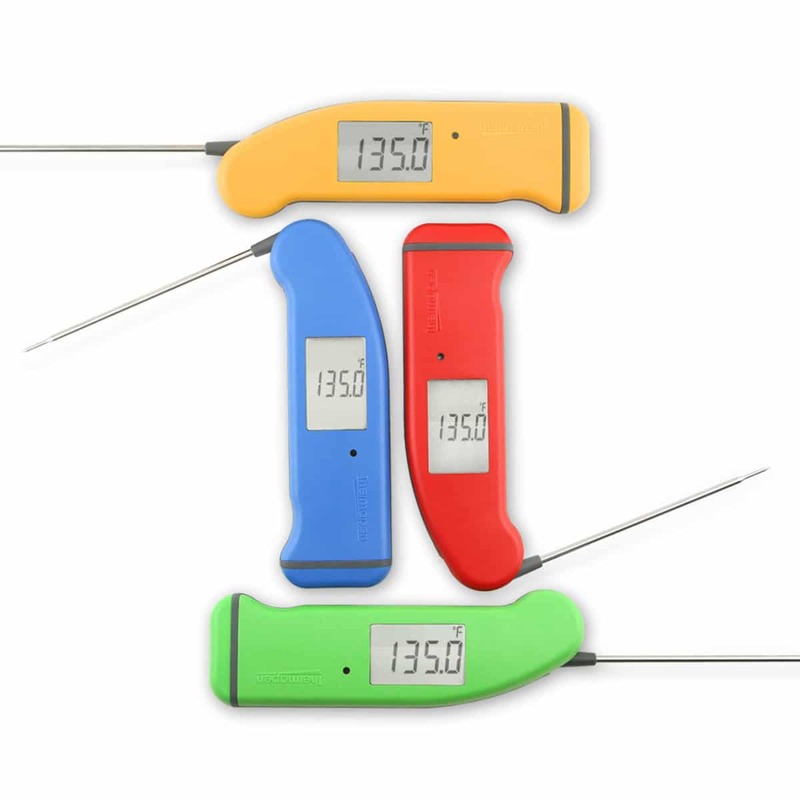 A really great meat thermometer, but just not as awesome as the Thermopen MK4. The biggest con in buying the MK4 is its cost. It is one of the most expensive thermometers around for its general ability. It is understandably priced as high as it is, because of the overall build, features, and accuracy. But the price can certainly turn some people away. Other than the price, the lack of ability to leave your grilling area is another downside, but that is true for any instant read thermometer. The pros for the Thermapen MK4 meat thermometer go on and on. The accuracy and read time make it one of the best thermometers around, so it is hard to argue with it based on that alone. Its automatic rotating display and far reaching probe make it a very convenient product to use. The auto lighting display also helps with nighttime convenience. The auto power feature is also awesome, and hard to beat. The MK4 comes in at about $99. The warranty lasts for 2 years from the date of purchase and guarantees against defects in either components or workmanship. Thermoworks will either replace or repair the product for you in that period without charge. This is a great product that is certainly worth checking out. Even if it is out of your price range, use it as a comparison to other products you are considering. That way you can at least see what features are available and what they look like in a high end product. Every Thermapen MK4 comes with a certification with proof of calibration with actual data from tests of each product. There are big reasons why top professionals use them. Thermopen always builds a quality product, and this one is just another step forward in the technological advances for instant read thermometers. Why would you rely on guesswork or poking at meat when you could get accurate temperature readings in three seconds or less? It’s a pricey investment, sure. But considering the costs of meat, especially cuts like tenderloins or roasts that could cost upwards of $100, the MK4 is a very good value. And the MK4 should last for many years with just a little care. I hope this Thermapen MK4 thermometer review was helpful for you. As always, if you or someone you know is interested in grilling thermometers or you find this information useful, please consider sharing it with your grilling friends and on social media! If you would like to leave a comment or have a review of your own to share on Thermapen New MK4 thermometer, please do so below. We always welcome your input.